Harvard GlobalWE would like to highlight members making a difference through their careers and volunteer work as well as celebrate individuals who have had a significant impact on global women's empowerment. Most recently, we interviewed three GlobalWE members--Geraldine Acuña-Sunshine, Louise Ruhr and Farzeen Tariq. We know you'll be as inspired by these incredible women as we are! To recommend individuals we should feature, please write to globalwe@post.harvard.edu. Geraldine Acuña-Sunshine is president of the Sunshine Care Foundation for Neurological Care and Research. 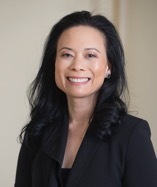 Prior to entering the non-profit field, she specialized in private equity law, advised various Philippine government entities, then served as Senior Counsel at Bracebridge Capital in Boston for over 13 years. She attended Harvard College, followed by the Harvard Kennedy School of Government and Columbia Law School. Tell us about your work towards global women’s empowerment. I currently run an international NGO based in the Philippines called the Sunshine Care Foundation for Neurological Care and Research. The foundation is focused on finding innovative ways of delivering care to impoverished patients and their families affected by neurodegenerative diseases. I define "care" broadly because disease imposes great hardships not only on the patient, but also the patient's family and community - especially caregivers who are 99% of the time women. Within this work, I help create psychosocial support systems and jobs for the brave and courageous women who are tasked with caring for their loved ones and communities. I have been active in organizations that teach our youth about the issues that affect women all over the world. I am also a proud and long standing board member of the Resolution Project, an international non-profit organization that funds social impact projects all over the world. Many of these projects focus on championing the next generation of women. Collectively, Resolution Project Fellows have supported almost 50,000 girls and women through empowerment initiatives, increased access to maternal-child health, survival programs for more than 40,000 women, and provided access to education for more than 30,000 children. Some endeavors that I have helped fund through the Resolution Project include a non-profit in rural Eritrea that trains and employs women to support other women throughout pregnancy, childbirth and postnatal periods, an NGO that addresses gender-based violence in Papua New Guinea, a program that teaches menstrual hygiene while helping women earn a living making and selling menstrual hygiene pads in Mumbai, and a program that helps teenage victims of female genital mutilation and domestic abuse in Nigeria reintegrate into society and become leaders through a year-long training program. How did you first connect with Harvard GlobalWE? I first connected with GlobalWE when I signed up to be a member during a Global Networking Night. What is one place in the world where you see great opportunity for progress on women’s empowerment? Even though we, as women, can empower other women globally to become stronger, more capable, more resilient human beings - I believe that some of our greatest opportunities for empowerment can actually happen in our daily lives. They happen in the ways we as women talk to one another, appreciate one another, and above all champion one another in each other's lives, whether that be at work, at home, or whatever endeavor we choose to undertake in order to elevate ourselves, our families, our communities, and the world. 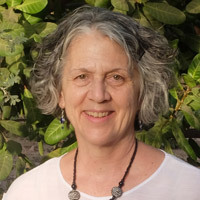 Louise Ruhr is one of our board members at Harvard GlobalWE. She is the Executive Director at CREATE! Center for Renewable Energy and Appropriate Technology for the Environment. She has more than 30 years of experience in for-profit and nonprofit organizations including American Refugee Committee International, General Mills, Inc., Ruhr/Paragon Advertising and the Minnesota Orchestral Association. Louise is an alumna of Princeton University and earned an MBA from Harvard Business School. Tell me about your work towards global women’s empowerment. My work toward women’s empowerment began in 2005, when I volunteered to train women living in refugee camps in Rwanda to start their own small businesses and to form self-managed savings groups. These women were living in the most difficult conditions, caring for their families on meager rations and with few prospects for education, employment or repatriation to their home country. I was overcome by the commitment, energy and sheer joy that they brought to our training sessions as they discovered their own capacities and power to change their lives for the better even under such challenging circumstances. These women inspired me to shift my professional priorities in the direction of humanitarian service focused on the empowerment of women and girls. Today I lead an organization, CREATE!, that works at the intersection of global climate change and women’s empowerment in sub-Saharan Africa by providing women with the knowledge, motivation and confidence that they need to bring about stunning improvements in the conditions of life in their villages. These women serve as role models for their daughters and for women in other communities as they learn to study markets, plan production cycles, implement semi-organic gardening techniques and harvest bountiful crops in desert-like conditions, all the while maintaining their households and caring for their children. They, along with the young professional women on the CREATE! field team, are a constant source of inspiration and give me hope that the power of women can truly move our world to a better place. I connected with GlobalWE at the first Expo in 2016. I had registered for the HAA Women’s Weekend and came across the Expo in the event materials. I attended, met Julie, Tara and others, and signed up to volunteer. I see great opportunity for progress on women’s empowerment all across Africa, from the dusty villages of Senegal’s “peanut basin” to the green hills of Rwanda and the whole vast continent in between. The women of Africa are strong and determined and are increasingly making their voices heard. Once they discover their true potential I don’t think that there is anything that can stand in their way. 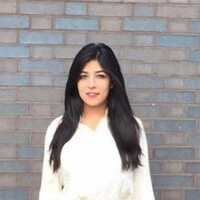 Farzeen Tariq has been involved in human rights initiatives around the globe. She now works as a lawyer at Reed Smith, a global law firm in Chicago. Previously, she clerked at the International Criminal Court (ICC) in the Hague, and worked at The Chicago Sun-Times. She studied international law at the University of Oxford, social justice at Lake Forest College, and received her JD from Northwestern Law. I started with access to justice and health initiatives in Islamabad, Pakistan, which evolved into an informal NGO where participants would discuss and troubleshoot their own social issues. I now have a range of experience in women's empowerment through my legal volunteer work at the Domestic Violence Legal Clinic in Chicago; assessments on preventing self-immolation of women in Kurdistan; access to women’s justice and health initiatives in Bangladesh, Nigeria, and Ethiopia; and research on right to security and liberty for refugees in Lebanon. During my work at the ICC, I worked with protection of witnesses who were sexually enslaved. The most surprising takeaway from my work is that I have seen consistent patterns of cycle of abuse and discrimination across the globe. The commonalities of women’s experiences worldwide could really help unite them in bringing a change. I connected with the brilliant Julie Palmer when I was considering attending Harvard Law School. We soon discovered our common goal towards women’s progress. Ever since, we have remained friends and worked together on GlobalWE initiatives. I used to think that the biggest room for opportunity is formal education, until I saw highly educated women discriminate against other women at the workplace. Now I think that the biggest room for opportunity is culture. We need to support a culture where there is: Awareness - of what constitutes as discrimination. Courage - We are a product of our sometimes sexist socialization, and tend to be approval-seeking; we need speak up about injustices, even if it means that we will not be liked by everyone. Confidence - We need to demand equality when we don’t get the same opportunities as our male counterparts. Despite being in one of the most progressive countries and careers, I still find it difficult to implement the aforementioned qualities in my own personal life – imagine how this might be for women who don’t have the same resources as I do? That’s a thought that empowers me to speak up. We keep an archive of all past recognitions. Please click the below links to read more.